Dr. Burman has been appointed as an Additional Director w.e.f. January 13, 2010 in the category of Non-Executive and Independent Director. Dr. Burman is an eminent Industrialist with particular interests in the areas of Research and Development in the Pharmaceutical Sciences as well as Biotechnology and Technology issues. Dr. Burman has Doctorate in the area of Pharmaceutical Chemistry from the University of Kansas, USA. 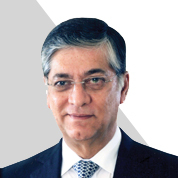 He is currently the Chairman of Dabur India Limited. He is also a member in the Council of Governors at Birkbeck College, University of London. V I C Enterprises Private Ltd.